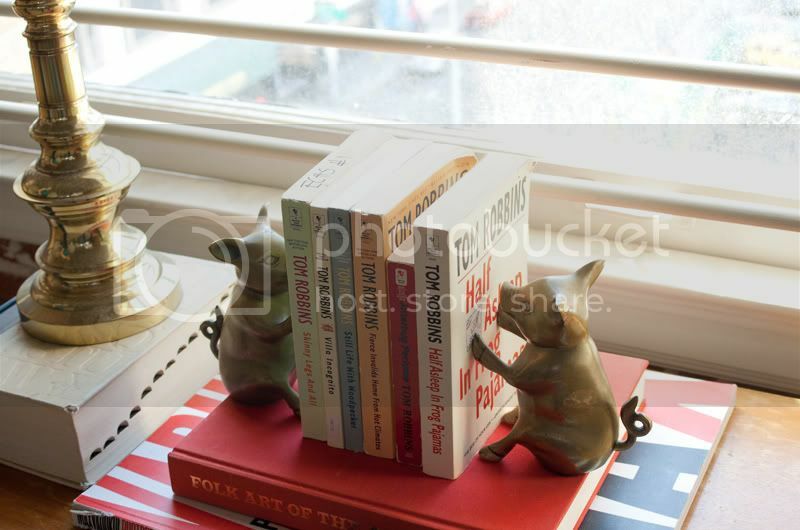 I found these little piggy bookends in the book section and it reminded me of Harry Allen's pig bank so I snatched them up immediately. 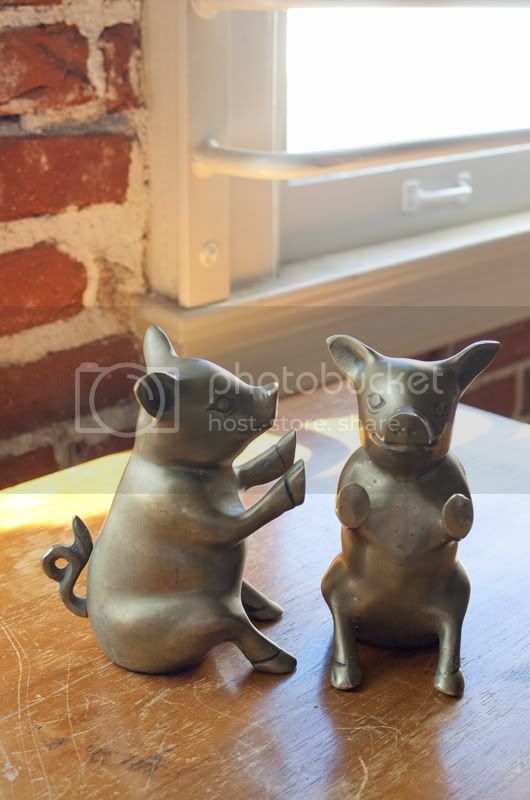 The pig banks are a tad out of my price range so these bookends wil do. With a nice coat of paint it'll definitely bring it alive. I'm thinking white or black.